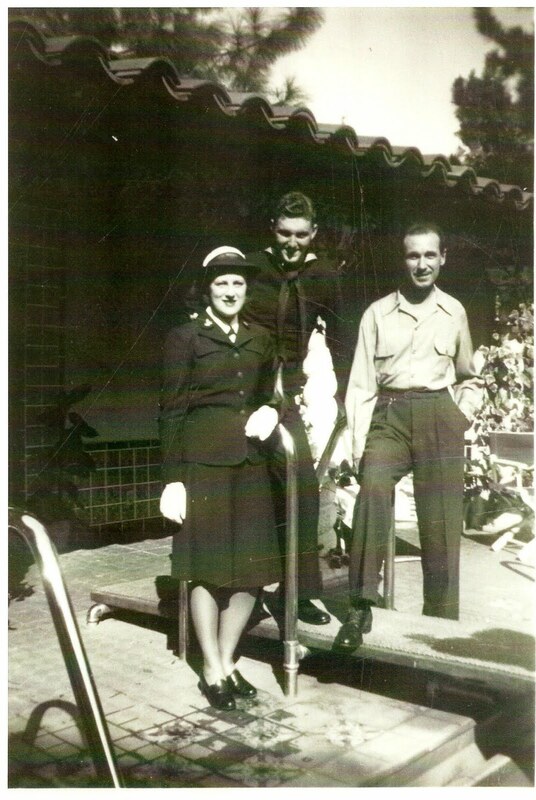 THE MAYBELLINE STORY : Maybelline family honors Noel A. for his duty in the Navy - 1945. 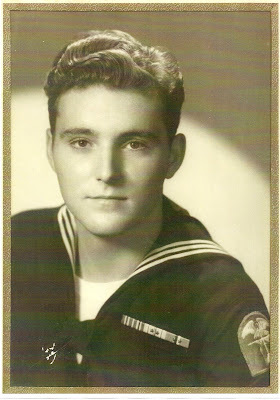 Maybelline family honors Noel A. for his duty in the Navy - 1945. In Memory of Noel Allen Williams for his service to his Country during WW11. Born and raised in Chicago, the son of Maybelline Vice President Noel J. Williams, Noel A. Williams grew up in a sheltered world of comfort, stability and opportunity. 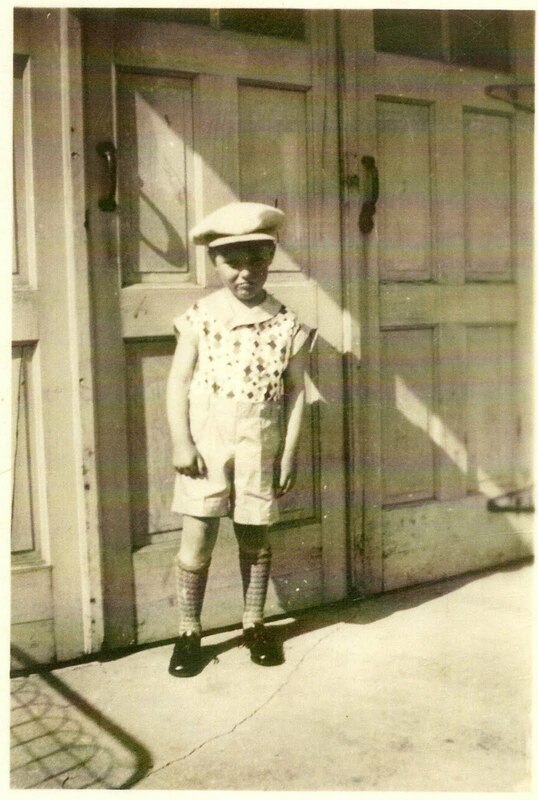 He and my father, Bill Williams were close first-cousins their entire life and when Bill moved to California with his mother Evelyn in 1936 to be near Tom Lyle, it was just a matter of time before Noel A. would follow. 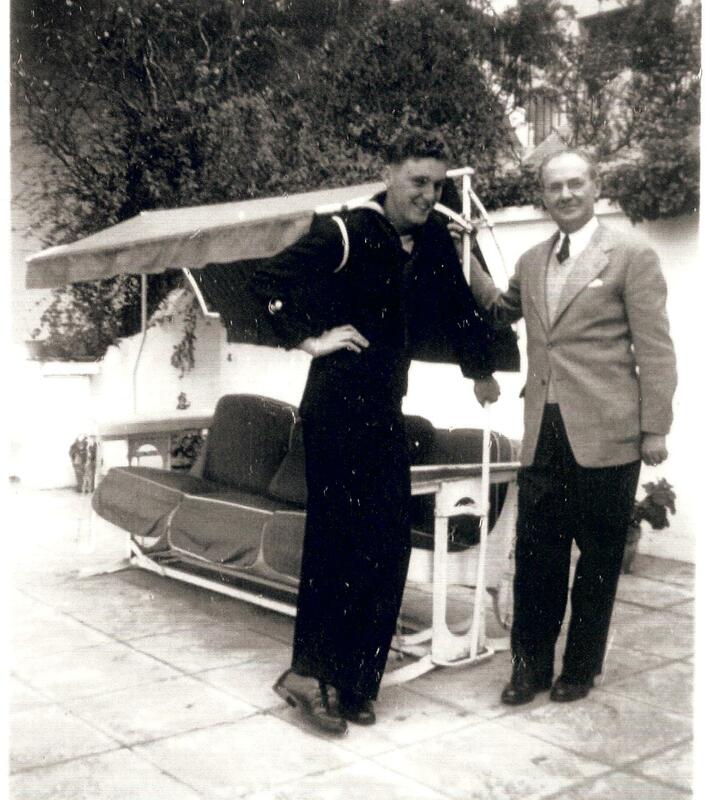 Noel joined the Navy, left Chicago and headed to Southern California where he was stationed in San Diego, close enough to visit his uncle Tom Lyle at the Villa Valentino and Bill of Course. Noel A. at the Villa Valentino with his uncle Tom Lyle Williams and TL's private Secretary Dorothy Mullander. Here is a picture of my father Bill in civilian clothes on the left standing next to Dorothy Mullander, Maybelline's executive secretary with Noel A. in his Navy uniform at Tom Lyle's Villa Valentino in the Hollywood Hills. Noel J. visits California to say goodbye to his 18 year old son before he ships overseas. 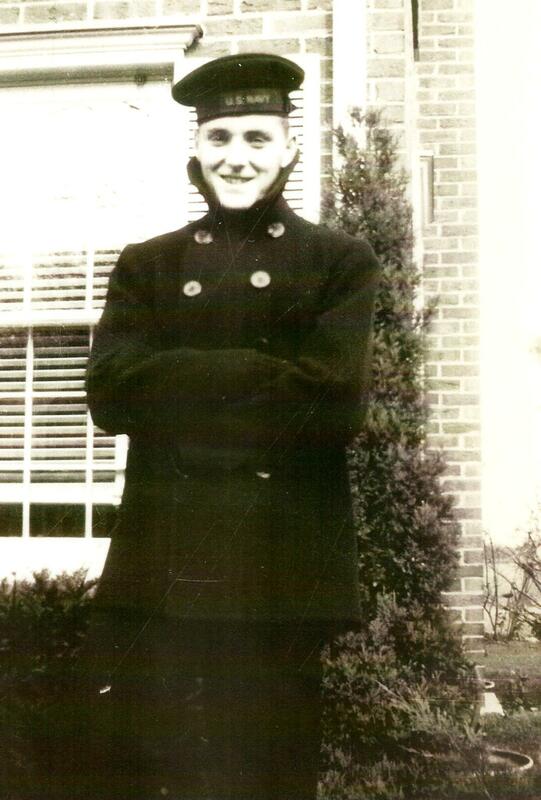 Dad looks forward to Noel A. returning home safely, going College and taking a position in the Maybelline Company. "Not so fast dad," as Noel A. has other plans which might include a girl he's leaving behind and maybe moving to California. But for now status-quo is the word. 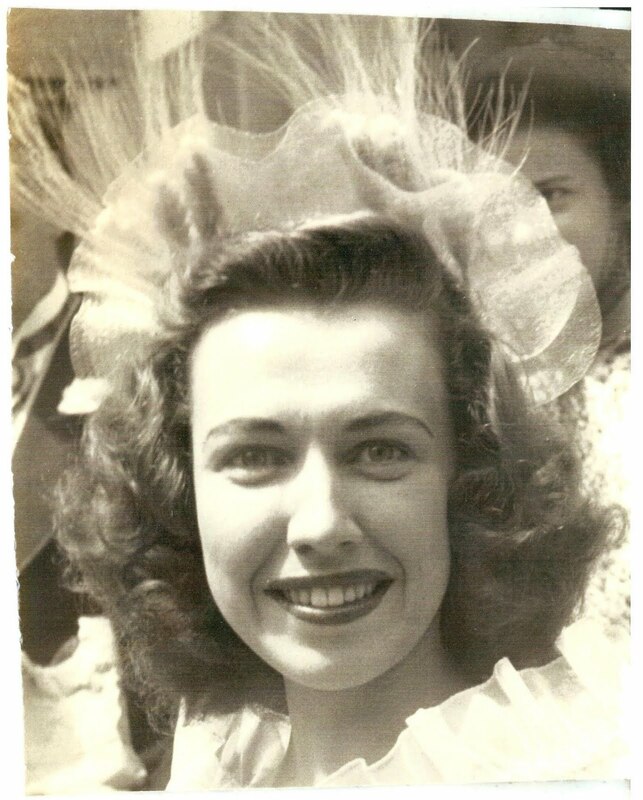 The girl he leaves behind is his 17 year old childhood sweetheart, Jean Kilroy. 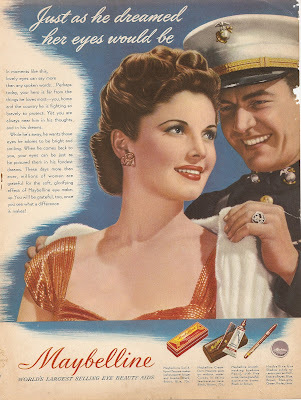 While Noel A. is overseas his uncle Tom Lyle creates this beautiful Maybelline advertisement targeting young women like Jean who are waiting for their men to return. Noel A. does return home but not before being wounded by shrapnel on his thigh. He was one of the lucky ones. Noel A. Williams 1925 -1994.
eye beautifier on the market in 1915 to 1967. Thank you for following The Maybelline Blog and be sure to tell your friends!!! 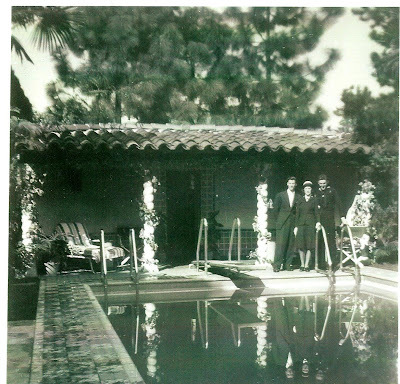 PS: Noel Allen Willliams is Chuck, Nancy and Jim Williams father.